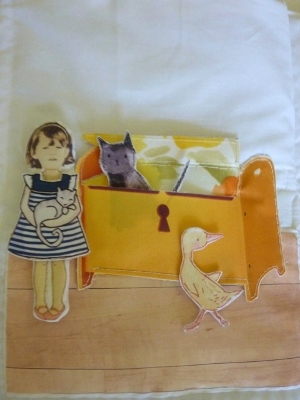 Today's wonderful quiet book comes from Helga in Switzerland. 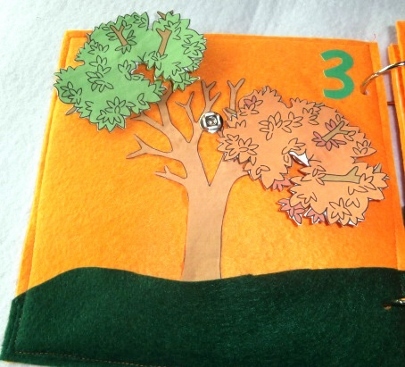 She has three daughters, who she made a quiet book for when they were children. Now they're older, and have children of their own. 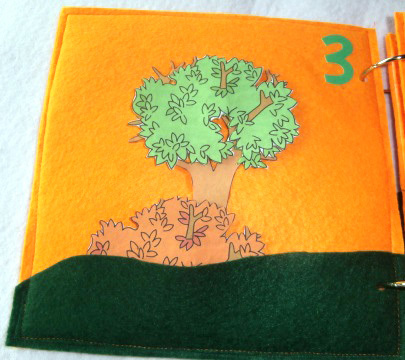 Since one quiet book can't easily be shared amongst three families, Helga made two more quiet books for them. 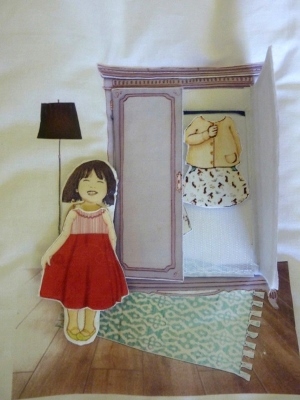 Similar to the printer fabric technique use by Debbie in making her bible quiet book, Helga printed pictures on to transfer paper, which she then transferred to the fabric. Doing so gave her book such a cool look! I love the different details in the book - the dresser, bed, wardrobe, oven - really everything in the whole house. 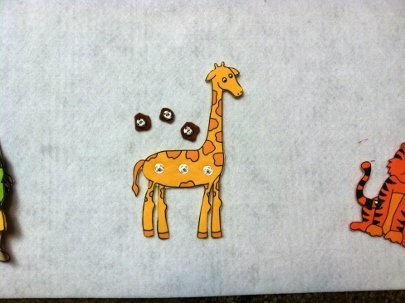 And her granddaughters colored on transfer paper for the cover, which is just so cute. So, please enjoy Helga's quiet book! My name is Helga. I live in Switzerland; I am a nurse and I am 60 years old. 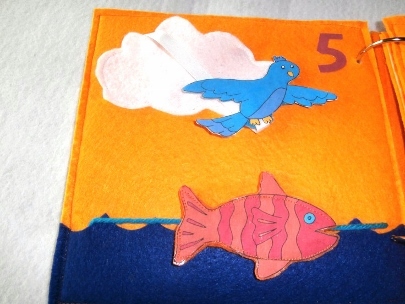 I made one quiet book 30 years ago for my 3 daughters. Now they have grown up and have only one book to share for their future children. So I now made two others for my twins. My level of sewing experience is basic. I never sew clothes. The most time I spent on choosing illustrations, colors and some templates. It's hard to say how much time is was, but it is definitely time consuming. I used the doll pattern of Sarah Jane. 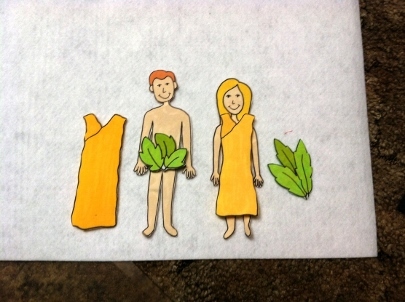 From my kid's, I changed their portrait photos into drawings to use their head with the paper doll body. 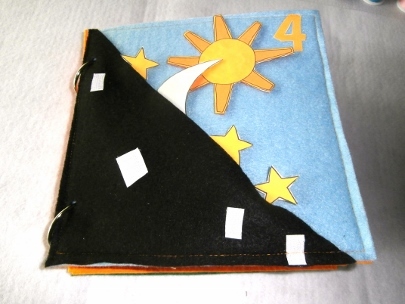 I sew the inside pages to the cover. 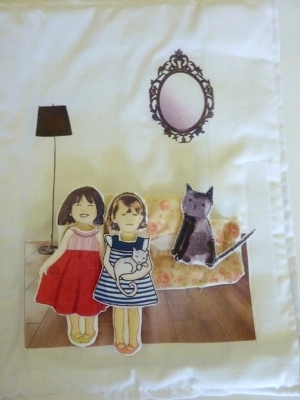 I used transfer paper to print patterns on fabric. About $50. The most expensive was the transfer paper and the colors of the printer. 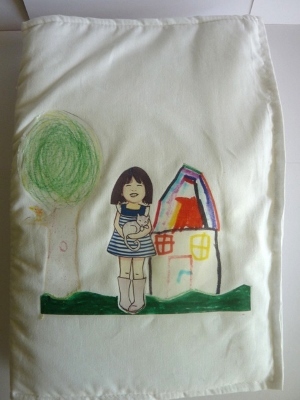 The cover made from their drawing (transfer drawing on fabric). It's my favorite because they did it. 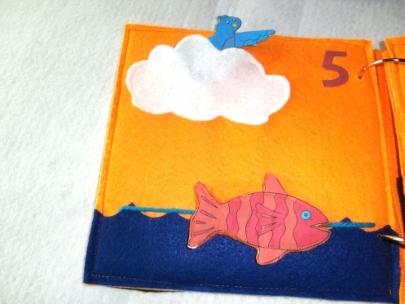 Thank you so much for sharing your lovely quiet book with us, Helga! Like I mentioned in a post just a couple days ago, one of my favorite things about quiet books is how unique they all are. 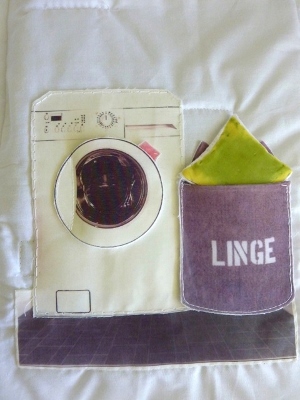 Machine sewn, hand sewn, hot-glued, felt, cotton, vinyl - they're all so different and personal. 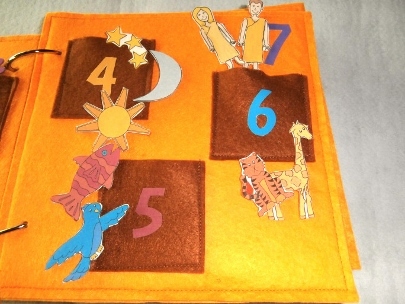 The lovely Bible Creation quiet book that I get to show you today, made by Debbie, is an excellent example of that. 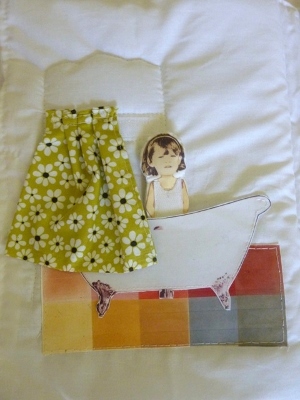 Debbie used printer fabric to print out her designs directly on to fabric, cut them out, and she was ready to go! 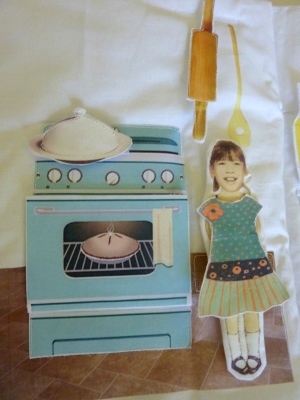 She was able to easily create some really cute figures and graphics with this method. 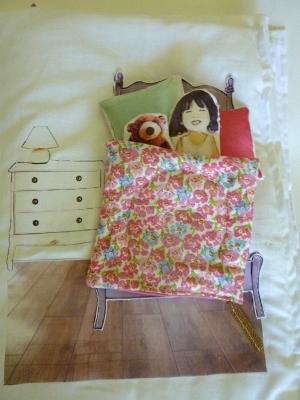 I've never heard of printer fabric before, but what a great idea for quiet books! It opens up a lot of possibilities for pages and figures. 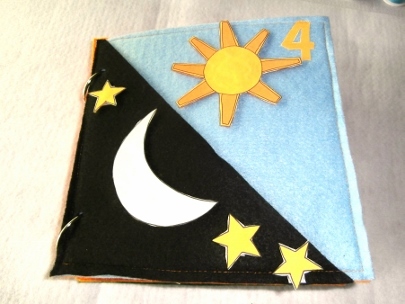 So enjoy Debbie's Creation Quiet Book (which goes through each day of the creation of the world), and remember printer fabric as a possibility in the future! Debbie - I am the mother of three grown children and a huge Disney fan. I made it to donate at a silent auction to raise funds for scholarships for students attending Florida College, a small Bible college in Tampa. Not too high - I only use my sewing machine for crafts. Five hours or so - I rarely have time to sit and craft for a long period. This quiet book is easy to start and stop and start in again. 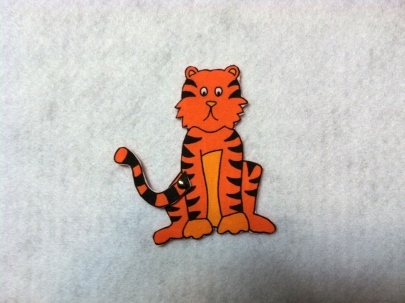 I use Colorfast Printer Fabric to print out the graphics. 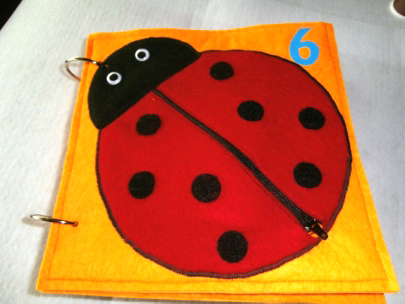 Printer fabric is super easy to use and makes very professional looking pages, especially when you aren't especially artistic and you don't have to have an applique machine to make good looking pages. I just discovered printer fabric a few months ago and have used it a lot ever since. You can find the graphics and directions at my Etsy store: Live for it Quiet Books. I use 1 1/2" album rings and a hole punch. Felt with Peltex in between the pages for added stiffness. Printer fabric, tacky glue, velcro, snaps, Heat-n-Bond. 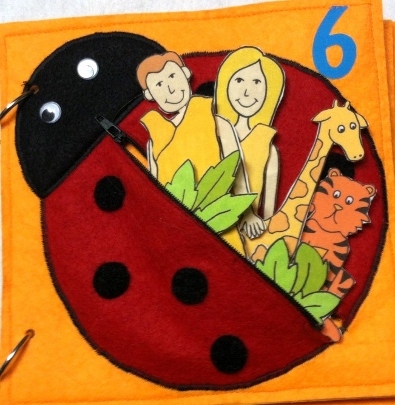 The ladybug page (Day 6 of Creation) - there are so many things to do with it; the ladybug zips to hold Adam and Eve and their changes of clothes; the giraffe's spots can be snapped on and off and the tiger's tail moves back and forth - lots of fun to play with. 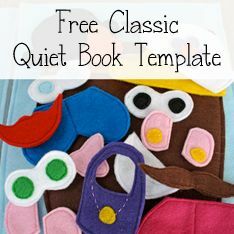 If you'd like to purchase Debbie's templates to download, check them out in her Etsy shop here: Live for it Quiet Books. Thank you so much for sharing your awesome book with us, Debbie! Today's quiet books are awesome. They are made by Tiffany of Always Sewin' Somethin!, the same talented seamstress who made the books featured on Monday and Wednesday of this week. The books featured today are both really cute and available for sale in her Etsy Shop. There are a lot of pictures below, so let me take a moment explain what all of the quiet books are before you scroll down. 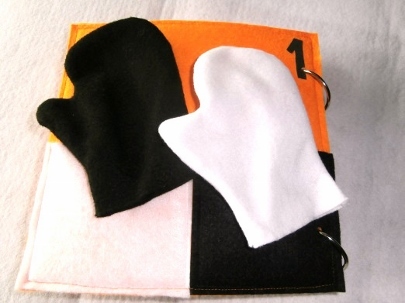 First of all, there are three different versions of Color quiet books. These three books are different sizes and have different features, but are all focused on color. Secondly, there is a Shapes quiet book. 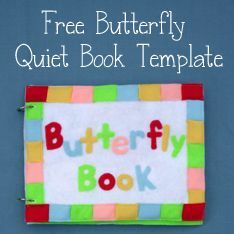 Finally, there is full, twenty-six page ABC quiet book, and an example of the Personalized Name quiet books that Tiffany makes. You can also see any and all of these quiet books in Tiffany's Etsy Shop. Since I intended to list this in my Etsy shop, I kept extensive notes on how my time/money was spent. The button version took about 10 1/2 hours, the regular version took about 7 hours and the mini version took about 5 1/2 hours. I worked mostly during naptime over the course of a month or two. Nope. The designs are completely my own. I did do some google image searches to help come up with good shapes. I went to JoAnns and got a four inch cut of anything I found that had a unique texture. There is some minky, vinyl, toweling, velvet, mesh, denim, satin, ribbon, and even a little burlap in there. 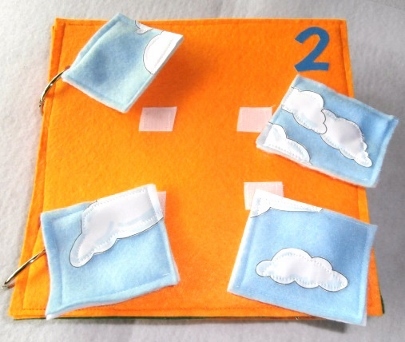 I also used buttons and velcro for attaching the shapes. This book took me about 6 1/2 hours to make. I worked on it during naptimes over the course of a week or two. I designed all the pages myself. In fact, I have gotten so many views from Pinterest, I decided to write a pattern for it, which can be found HERE. I think the car page is my favorite. I like the big button wheels. The ABC book took about 20 hours. I've been working on it off and on for a LOT of months. Connor's book took about 6 hours and about a week. Nope. All the designs are my own. Although I did do a lot of searching on Pinterest and later google images for ideas. Two binder rings and a hole punch. The ABC book turned out SO FAT that I had to add a strap to keep it closed! 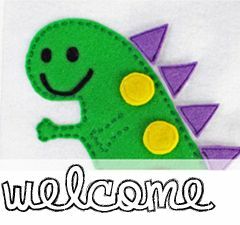 Felt, Buttons, Ribbon, Velcro, Thread, snaps, beads, craft sticks, googly eyes, yarn, zipper, faux leather. I love how Connor's octopus page turned out (it's much cuter in real life) and I love the xylophone page. My boys' favorite seems to be the puzzle page. 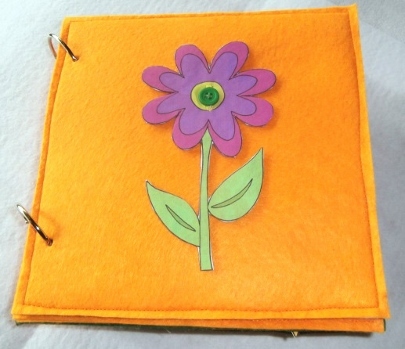 To see the Colors quiet books on Tiffany's blog, click here: New Quiet Books: Colors! To see the Shapes quiet book on Tiffany's blog, click here: Shapes Quiet Book. 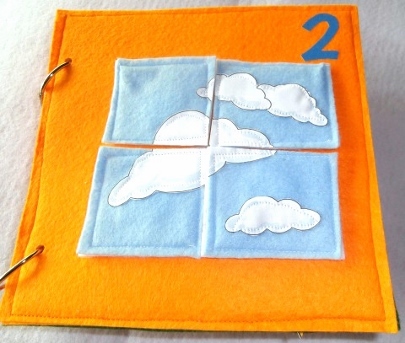 To see the ABCs and Name quiet books on Tiffany's blog, click here: New Quiet Book: ABCs! To see all of these books in Tiffany's Etsy shop, click here: Always Sewin' Somethin! Etsy Shop. Thank you for sharing all of your fabulous quiet books with us, Tiffany!